All Friends are warmly invited to come together for Vassalboro Quarterly Meeting hosted by Midcoast Friends on February 2. The afternoon program will focus on climate change. 12:00 – 1:15 Lunch: Bread and Soups will be provided, others are invited to bring salad or dessert to share. 2:30 pm: Guy Marsden: Tips and tricks for improving energy efficiency of your meeting and home. 3:00 pm: Q&A and sharing of intentions. 3:30 pm: Join hands in gratitude for the day and adjourn to help clean up. 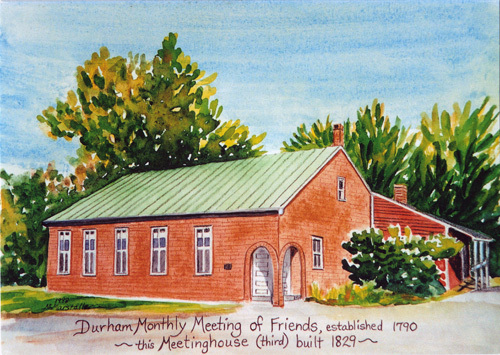 SAVE THE DATE – All-Maine Gathering, for Quakers from FQM, VQM (and beyond) To be hosted by Falmouth QM at Friends School of Portland on May 4, 2019 Falmouth Quarterly Meeting has begun planning for the All Maine Gathering this year on May 4. There will be time for Friends from around the State to meet together for worship, fellowship, and for a program focused on Native Maine Tribes. There will also be time for FQM and VQM to meet separately for business. Ann Dodd (Portland)-Collins and Christine Holden (Brunswick) are heading up the planning team. More information will follow. All are welcome! This entry was posted in Announcements, Events, Quarterly Meeting News and tagged Climate change, Vassalboro Quarterly Meeting. Bookmark the permalink.